You are invited to use the library this summer. SDSU students who are not taking summer classes may still check out materials as long as they are enrolled for the fall semester. Those not enrolled at SDSU can check out materials with a guest card if they are a South Dakota resident and sixteen years of age or older. 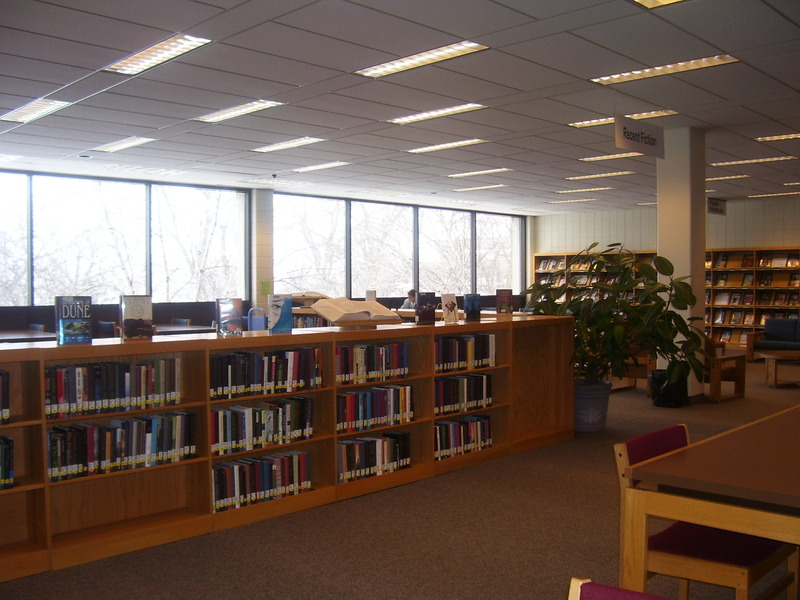 The library is an excellent place to explore information in the summer. On the main level of the library you will find newspapers, popular magazines and a recent fiction collection. We have many computers available and there is usually no waiting during the summer months. Our air conditioning is so super-powered that staff members often bring sweaters to work. Check the Library Hours page to see when we are open. You can access the Library Hours page from the library’s home page by clicking on About the Library. The Library Hours page will also let you know when a librarian is on duty. Google, the world’s most heavily used search engine, also has other products available besides the basic search. Google Scholar is a useful tool for locating journals and other scholarly sources. The ease of use and similarity to basic Google attract users to this resource. Now it is possible to check our library holding information in Google Scholar. Google Scholar crawls our library holding information. Go to Google Scholar website (http://scholar.google.com) and do a search, additional links called “Find it@SDSU” are now available. For journal articles, clicking on these links will provide access on your computer to articles included in our e-journal holdings or find the library has a subscription in paper. • Click on the ‘Scholar Preferences’ on the Google Scholar homepage. • Type “sdsu” in the search box behind Library Links. • Select ‘South Dakota State University – Find it@SDSU’ as one of the libraries that you wish to appear on Scholar results screens. • Click on ‘Save Preferences’ at the bottom of the webpage. When you click on a link you will be asked for your username and password just as if you where accessing the journal via the library’s Magazine and Journal List. Please use the “Find it@SDSU” links when using Google Scholar. Our Integrated Systems Librarian, Fei Xu has been working on implementing Google Scholar links to SDSU library holdings and would appreciate feedback or questions about the links. I know journals are expensive, but maybe consider purchasing Ecological Modelling, especially with so many students in the GIScCe. You are currently browsing the archives for the Magazines/Journals category.